Take a bite, and be transported to a place of pure enjoyment. These are our currently available flavours. Rich creamy vanilla custard centre made with real Madagascan vanilla bean. Dipped in white chocolate and then coated with crispy pastry flakes. Decadent white chocolate ganache with vodka and cranberry juice, a touch of orange and a twist of lime....just like the cocktail! Coated in fine white chocolate and gorgeous pink sugar. 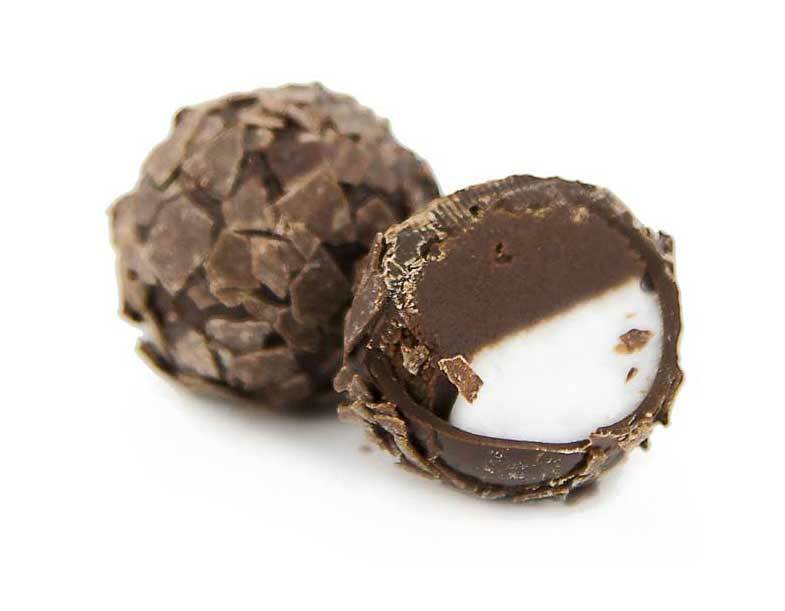 Smooth and buttery dark chocolate centre drenched in enticing Cointreau with a hint of sweet orange. Coated in fine dark chocolate and heavenly Belgian vermicelli sprinkles. Rich milk and dark chocolate ganache swirled together with pieces of popping candy. Dipped in milk chocolate, then coated in a fine layer of white chocolate and rolled in sweet sparkling rainbow sugar. Our first “double decker” truffle. One layer is smooth dark chocolate ganache, the other is a delightfully minty layer of fondant crème. Coated in fine dark chocolate, then rolled in flaked dark chocolate. A softly whipped centre based on white chocolate with an exciting and delightful passionfruit punch. Coated in fine white chocolate and glistening golden sugar. Deliciously gooey caramel centre with a hint of Murray River salt. Coated in fine dark chocolate and dusted with Dutch cocoa powder. Velvety smooth milk chocolate and almond based ganache with lightly toasted aromatic sesame seeds for subtle texture and flavour. Finished with a tantalising hint of Murray River salt, and a delicate coat of milk chocolate. For chilli lovers...this one has plenty of bite! 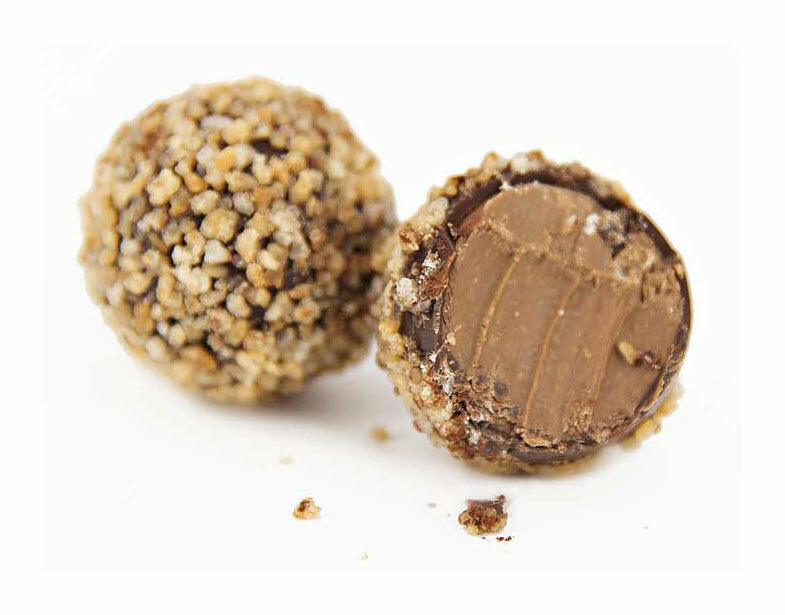 Smooth, creamy milk chocolate and hazelnut centre coated in fine dark chocolate, then tossed in delightfully tiny, flavour packed caramelised hazelnut pieces. Smooth white chocolate and coconut centre, coated in a thin white chocolate outer layer for crunch and tossed in desiccated coconut. 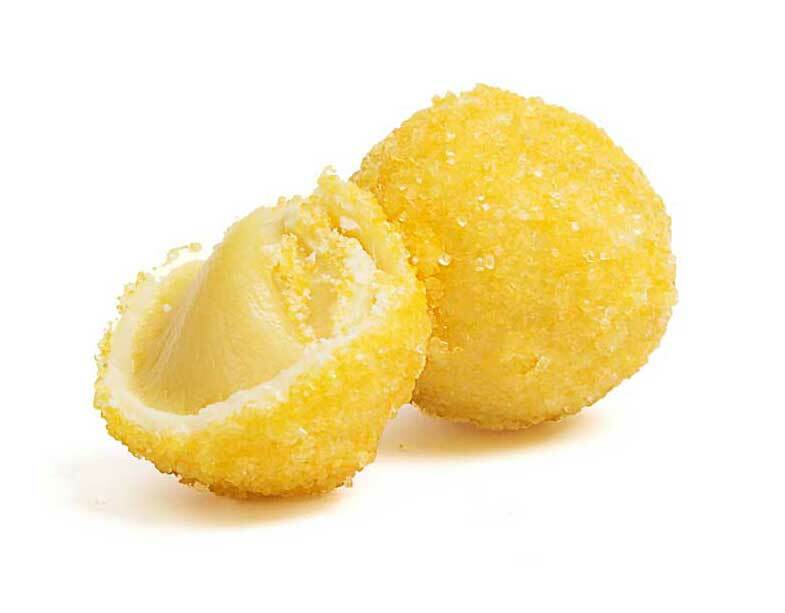 Almost lemon curd in texture, the centre of this most delightful of truffles, consists mostly of smooth white chocolate and very tart lemon. This alluring truffle is a complete dessert in one, coated in fine white chocolate and offset with sweet icing sugar for contrast. Milk chocolate ganache infused with Italian Espresso coffee beans. Coated in fine milk chocolate and tossed in thin delicate flakes.